Here’s a quick rundown on Monadnock area Rustic Weddings! Your wedding should be a memorable event that tells a story. With spring in the air and summer fast approaching wedding planning is now in full swing. The pressure to keep up with trends is something couples have trouble with while still maintaining tradition. One current trend is rustic weddings with DIY and upcycled antique charm. 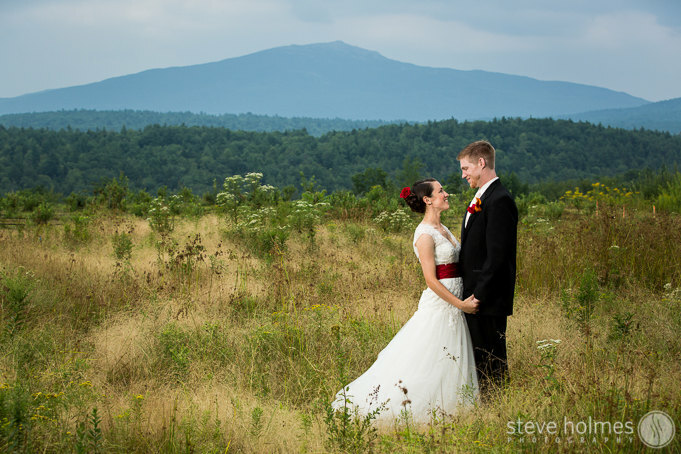 What’s a better place to get married than in the Monadnock region, with its mountains, farms, and forested green scenery. The region creates a romantic setting for your special day. Here are some great resources on how to create a wedding with rustic charm. One of the most important features of a wedding is the venue. The venue needs to capture the ambience of the entire wedding. A new trend that we are seeing today is a wedding with a view. The Grand View Estate located in Jaffrey, New Hampshire is known for holding weddings with vintage and antique style. The estate has colonial style buildings with a touch of modern fair and perfect for outdoor and indoor nuptials. The most captivating part of this estate is that it is located right next to Mount Monadnock. You are guaranteed a wedding with a view when tying the knot here because the atmosphere will leave you amazed. Monadnock Berries is similar to the Grand View Estate, it also overlooks Mount Monadnock, however the farm has more activities for guests. Located in Troy, NH, the farm holds berry picking and weddings at different times during the year. Since it is a farm the venue is suited for outdoor weddings with guests getting the chance to interact with live animals. The rustic appeal of a farm offers nuances of a country style wedding in a place like New Hampshire. From the barn house to the sky high mountains having a farm wedding is a trend that is fun and engaging for guests and the newlyweds. Cathedral of the Pines is an open air cathedral that is a nationally recognized memorial dedicated to the memory and honor of all Americans who serve the nation in search of peace. With breathtaking views of Mount Monadnock and the surrounding countryside, this is a beautiful outdoor spot for any special day! Check out more venues here! While the venue is an important part in setting the scene of the wedding. Catering is also crucial to the enjoyment and success of the wedding. The type of food you serve and where it comes from help guests feel comfortable and relaxed. Catering for a wedding with rustic charm couples might look for local caterers that specialize in making their food from natural, organic ingredients, or locally sourced produce. MayFair Farm is an artisan local market with an organic, health-conscious mission. But a rustic wedding can also have decadent food. For instance, Luca’s is a local Mediterranean restaurant in Keene, NH that does catering for weddings and other events. Luca’s offers a variety of meals for weddings which add a flair of international culture. Free Range Chick Catering is a local caterer focusing on locally grown, raised and produced foods. Denise Meadows, owner of Free Range Chick, often partners with Charcoal Charlie’s, which serves award-winning Southern style BBQ of chicken, pulled pork, beef brisket and St. Louis style ribs along with mouthwatering side dishes. There are plenty of antique shops and boutiques where you can pick up almost anything for your decor and as party favors. Antiques & Collectibles Mall of New England in Greenville and New Hampshire Antique Co-Op in Milford are large facilities with a surplus of antiques to hunt through for the perfect treasures for centerpieces. Beautiful additions can be found at many of the local shops and boutiques. Take a look at our Shopping page for more info on places to snag something special. And don’t forget flowers! Local florists abound – try Woodman’s, In the Company of Flowers, or Anderson’s. For an out of the box idea, connect with a farmer at one of the farmers markets you can find across the region on a daily basis. Often, local farms can provide flowers, or they will invite you to pick your own – a great activity for friends and family in the days leading up to the wedding. Your wedding should be a memorable event that tells a story. Having a rustic wedding is one way to make your wedding memorable for yourselves as well as your guests. The little touches of the Monadnock region will give off the rustic appeal, which will tells the story for you.